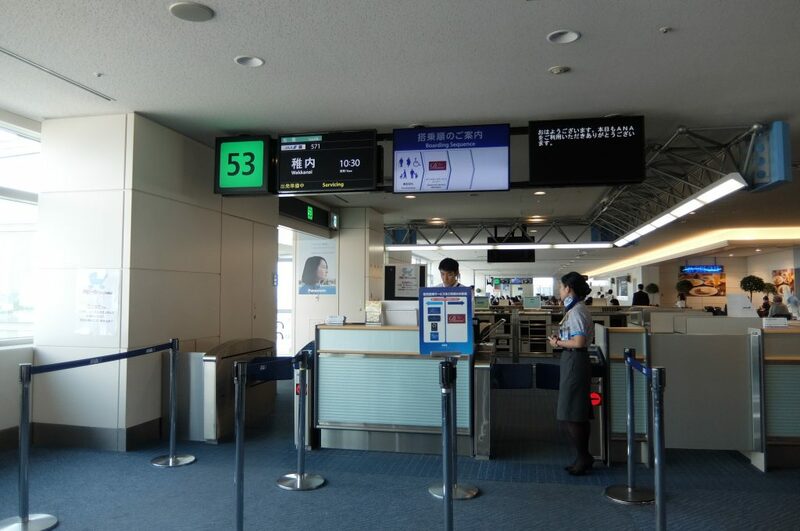 In the last summer on 2017, I traveled in north and east of Hokkaido using a reward ticket (ANA) and a rental car and would like to report that. 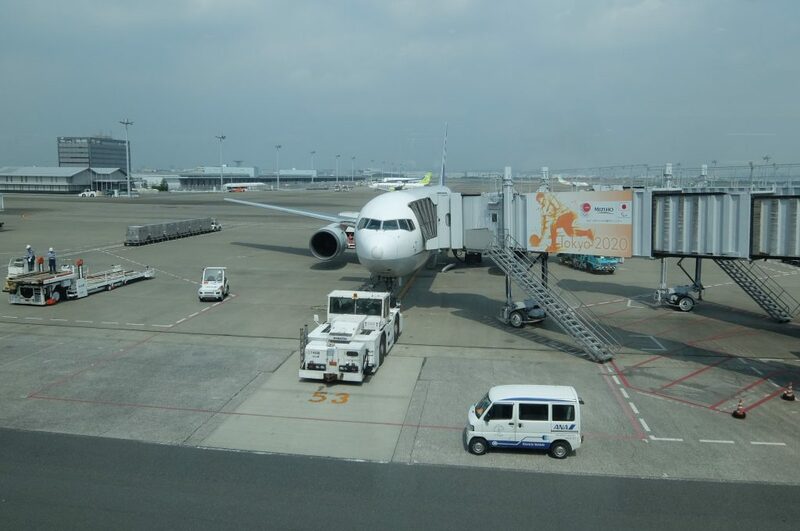 Hokkaido is one of the most popular sightseeing area in Japan for foreign tourists as well as Japanese. I wanted to try Tako-Syabu (Octopas Syabu-Syabu), but tables of the restaurant are fully booked. Thus, I visited Fukkou Ichiba (a market). 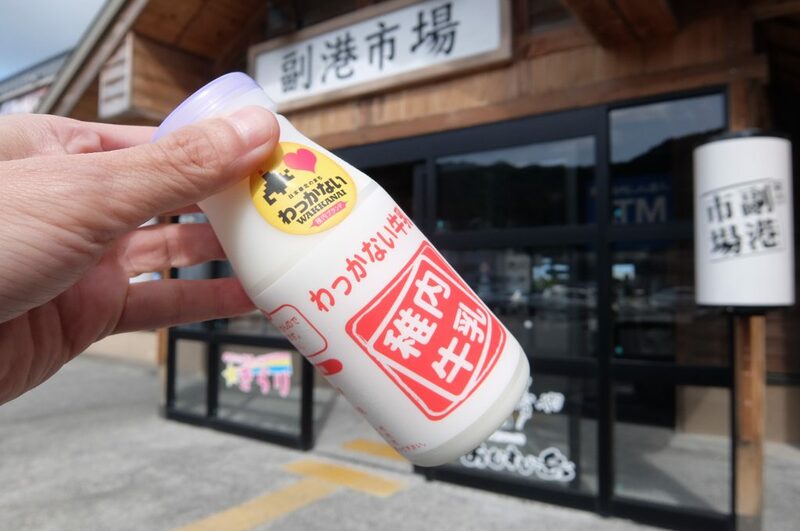 This is the first eat (drink ) for my Hokkaido trip: Wakkanai Gyunyu (稚内牛乳: Wakkanai milk). 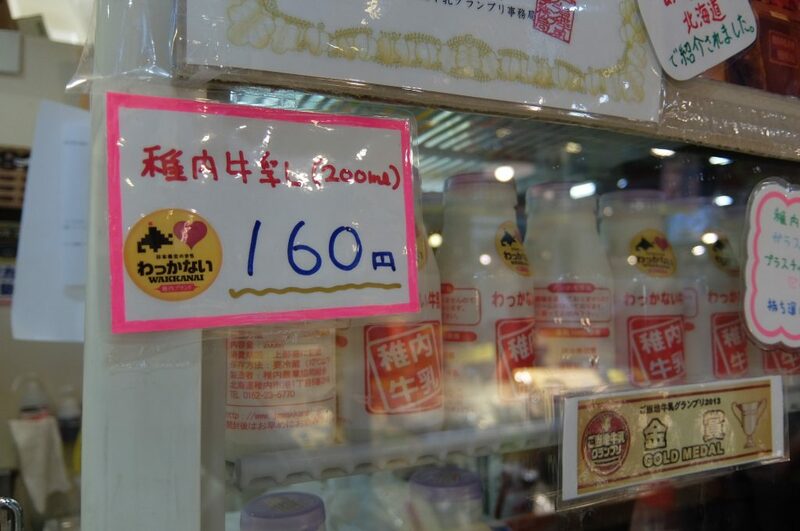 Production of milk in Hokkaido is the highest in Japan. 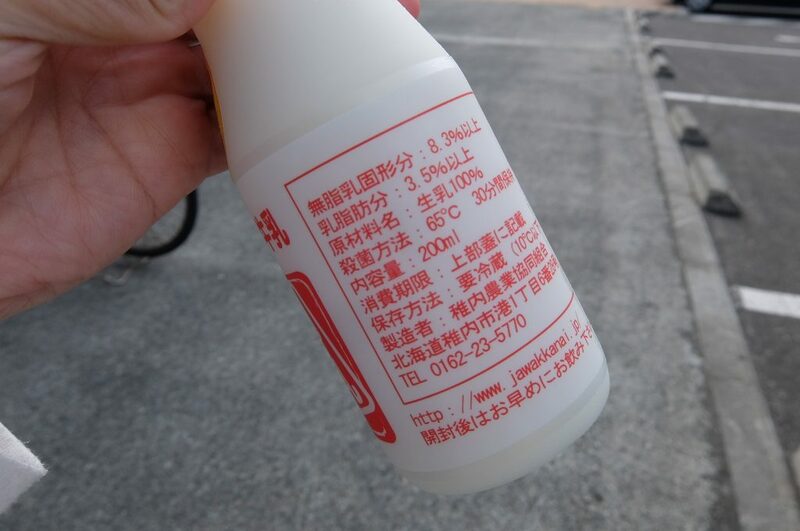 The Lipid content is not so high but, this milk is pasteurized　(sterilized with low temperature at 65℃ for 30 min). Thus, the flavor is nice. 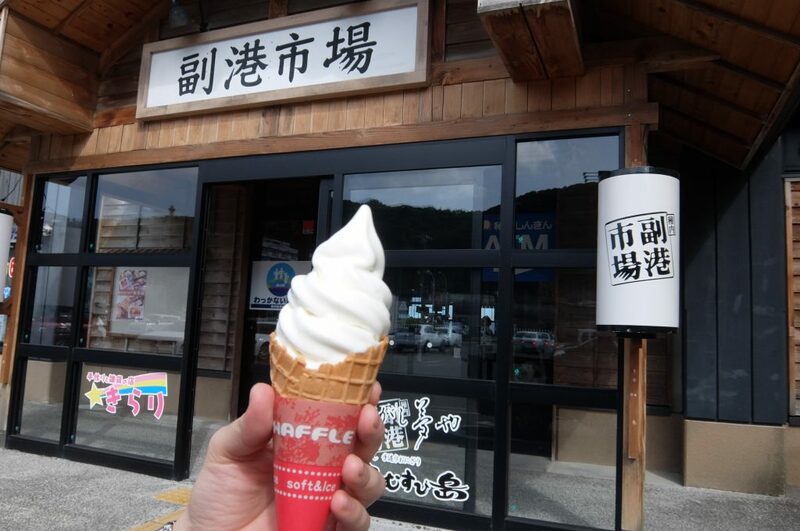 Soft ice cream, which is called as soft cream (ソフトクリーム) in Japan, produced from this milk is also popular. This is the Hokkaido taste. Menu: Soft cream (Soft ice cream: ソフトクリーム, JPY 300), Wakkanai Gyunyu(Wakkani milk: 稚内牛乳, JPY 160). Note: Products may be sold out in some cases.